The ex-US Attorney for the Middle District of Georgia is referring to a dangerous epidemic that has swept across the world’s largest economy in recent years. Its impact is estimated to have cost over $1trn, and that figure continues to grow year on year. But this epidemic isn’t just being felt in people’s bank accounts, but in their communities and their families, too. The opioid crisis has financially and socially devastated the United States since its inception 22 years ago. It costs the country over 150 lives every week, and an estimated $500bn annually in medical and legal aid. It has become one of the US’ most pressing crises to solve, with candidates across 25 states putting it at the forefront of their respective campaigns for the upcoming 2018 midterm elections. Opioids were brought into the mainstream in 1995 by pharmaceutical manufacturer Purdue Pharma and its product OxyContin. The drug’s sole active ingredient is an opium-based compound called oxycodone that was developed by German scientists in 1916. Until that point, oxycodone had been primarily used in its immediate-release form to treat pain in cancer patients. Purdue Pharma, however, developed a capsule with a controlled-release coating, which allowed the active ingredient to be discharged over 12 hours, making it suitable for treating all types of chronic pain. Between 1996 and 2001, Purdue Pharma conducted a highly aggressive marketing campaign to push doctors across the US to adopt OxyContin. The company held 40 ‘pain management symposia’ in traditional holiday destinations such as Florida for over 5,000 doctors, nurses and other prescribing physicians to extol the virtues of its new superstar drug. At these all-expenses-paid events, Purdue Pharma compellingly sold OxyContin on the basis that it had a ‘less than one percent’ addiction rate and would solve America’s pain problems. During the same period, the company doubled its sales force and initiated a free 30-day trial programme for the drug, which by 2002 had been redeemed by over 34,000 patients. Sales representatives were wildly incentivised to push OxyContin with promises of $10,000 cash bonuses and lavish trips. The average salary for a Purdue Pharma sales rep in 2001 was $55,000, but the average bonus was considerably higher at $71,500. In that year alone, the company paid out over $40m in bonuses. It may be true that all pharmaceutical sales companies have a budget for marketing a new drug, which does include sales bonuses. However, Purdue Pharma took it to a level beyond anything seen before in the sector, spending between six and 12 times more than their closest competitor did on an equivalent drug. By 2000, Purdue had spent $4.04bn promoting OxyContin – the following year, in 12 months alone, it spent $200m. But these outgoings paled into insignificance in comparison with the revenue it was raking in. Sales of the drug in 1996 were worth $4.8m; just four years later, that figure had skyrocketed to $1.1bn. Through its forceful promotion of OxyContin, Purdue Pharma created an unprecedented national appetite for opioids. In 2001, physicians across the US wrote over six million prescriptions for the drug. The country had become reliant on pain pills, and behind the scenes, there was an incredibly rich family profiteering from the demand. Purdue Pharma began as a subsidiary branch of the Purdue Frederick Company, owned by brothers Raymond, Mortimer and Arthur Sackler. Arthur and his descendants took a step back from the firm many years ago and no longer have any involvement with its activities, but seven of Raymond and Mortimer’s children remain active board members of Purdue Pharma, while Raymond’s son Richard Sackler was the president of the company from 1999 to 2003. The family has remained remarkably untouched by any legal challenges posed to the firm, and has barely spoken in public about their involvement in Purdue Pharma, preferring to direct attention to their philanthropic activities. But there’s no hiding the source of their tremendous wealth. In 2015, the family burst onto Forbes’ list of America’s Top 20 Wealthiest Families with an astonishing estimated net worth of $14bn. At the time, that figure equated to the 16th largest family fortune in the country. While the Sacklers continued to amass their vast fortune, the opioid crisis escalated across the country. ‘Pill mills’ began to spring up, run by physicians of dubious morals who gave patients a rough once-over then handed over an OxyContin prescription in exchange for cold hard cash. Doctors working in these establishments charged between $200 and $300 for a prescription, and could see up to 60 patients a day. Meanwhile, the fatality rate of opioid addiction rose year on year. In 2002, prescription opioids were killing 5,000 people annually, but 10 years later, that number had risen to 15,000. Preliminary figures from the Centers for Disease Control and Prevention (CDC) estimate that 72,287 Americans died in 2017 as a result of drug overdoses, and of those deaths, 49,000 were directly caused by prescription opioids. The crisis had other, far darker implications too. It was discovered by some users that the controlled-release coating of OxyContin could be dissolved away, leaving a fine powder of pure oxycodone which could then be snorted or melted and injected, giving a much more intense high. Those who took OxyContin via this method soon fell into the grip of addiction, and as the cost of the drug rose and Purdue Pharma made it harder to extract the oxycodone, many turned to black-market opioids such as heroin to get their fix. Heroin consumption in the US skyrocketed from 374,000 users in 2002 to 948,000 in 2016, a spike that can be directly linked to the opioid crisis. Addicts subsequently went in search of bigger and better highs, and landed on fentanyl, a new synthetic opioid estimated to be 30 to 50 times more potent than heroin. The drug is typically manufactured in China and then shipped to the US. In January, the Senate released a report highlighting that $800m worth of fentanyl pills had been sold to US consumers by Chinese distributors over a two-year period. As such, what began as a national prescription pill problem has spilled over into an illicit global drugs market. Michael Moore began his career as a state drug prosecutor before being sworn in as Obama’s Attorney General for the Middle District of Georgia in 2010. Over the course of his extensive legal career, he has dealt with a range of drug epidemics, including the opioid crisis. As a result of its role in exacerbating the opioid crisis, Purdue Pharma has faced an increasing number of legal challenges in recent years. 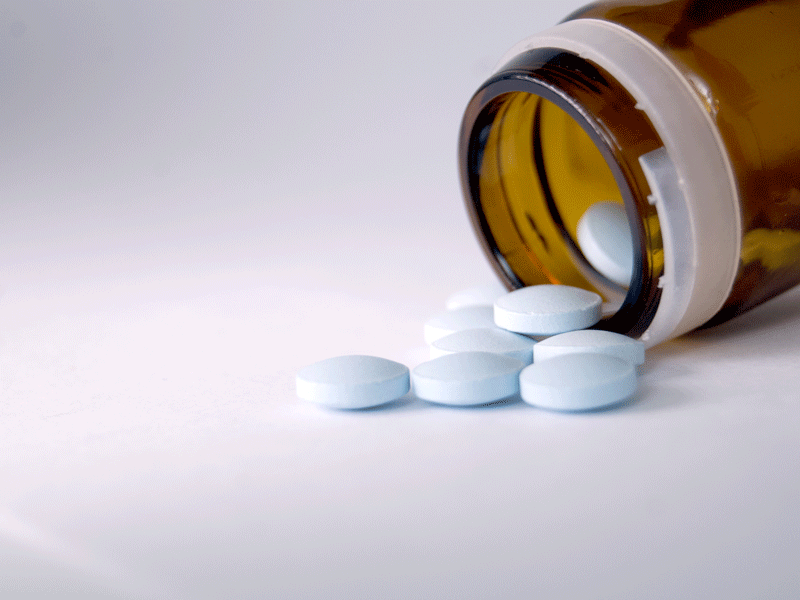 In May 2007, a Purdue Pharma affiliate and three executives pled guilty to misrepresenting the addictive capacity of OxyContin, and were collectively fined $634m. There has also been a number of lower-value criminal cases brought against the company, but Purdue has always opted to settle out of court, allowing it to remain shielded from the spotlight. That could be about to change, though. The legal pressure is mounting against big pharmaceutical companies, and Purdue Pharma specifically, as more and more states team up in a collective case aiming to hold industry titans responsible for their part in orchestrating the epidemic. So far, 23 state attorney generals have expressed their intention to participate. Many are hoping that the case will wipe out a significant proportion of Purdue Pharma’s profits from selling OxyContin. The drug is estimated to have generated some $35bn in revenue for the company; with the drug still on the market, that number continues to rise. “To add insult to injury, Purdue recently won approval to market its own brand of buprenorphine that is used to treat addiction. In effect, they hope to earn a handsome profit from [solving] the epidemic they helped to create,” Blondell explained. Profit for Purdue comes at a hefty price for the nation. In November 2017, the White House released a report by the Council for Economic Advisers that estimates the economic burden of the opioid crisis in 2015 alone to be an astounding $504bn. That equates to almost three percent of the nation’s GDP – nearly as much the entire federal defence budget. This figure encompasses the cost of healthcare for treating those addicted and secondary consequences of addiction, as well as lost productivity in the workforce and the involvement of criminal justice authorities for crimes relating to addiction. This figure does not, however, account for the lives of thousands of Americans that have died as a result of overdoses. Putting a price on a single human life is a near-impossible and problematic exercise, but certain bodies in the US are required to do so for scientific or economic purposes. In 2016, the US Department of Transportation valued the average American life at $9.6m. Applying that value to the CDC’s estimate of 180,000 people who died of opioid overdoses between 1999 and 2015 equates to a literal death toll of $1.73trn. That doesn’t even begin to cover the additional human costs of the crisis, either. Not the millions in foster care costs for children whose parents’ lives were claimed by opioid overdoses. Not the recovery costs for thousands of small communities left derelict and ruined by addiction. Not the psychological cost for the years it will take the US to come to terms with the profound scars of such a destructive epidemic.